Categories: Machines, Package deals, Automatic, ResMed. Tags: Airsense 10, Resmed, S10 Autoset, S10 autoset for her. With its unique algorithm, the ResMed Airsense 10 For Her is the only one of its type, with a special algorithm for women. It is simple to use and easy to clean as part of your daily routine. ResMed Airsense 10 For Her fits any mask we stock at City CPAP. The simple and intuitive ResMed Airsense 10 For Her user interface provides daily feedback on your therapy and makes it easy for you to change comfort settings. Just press start and go. 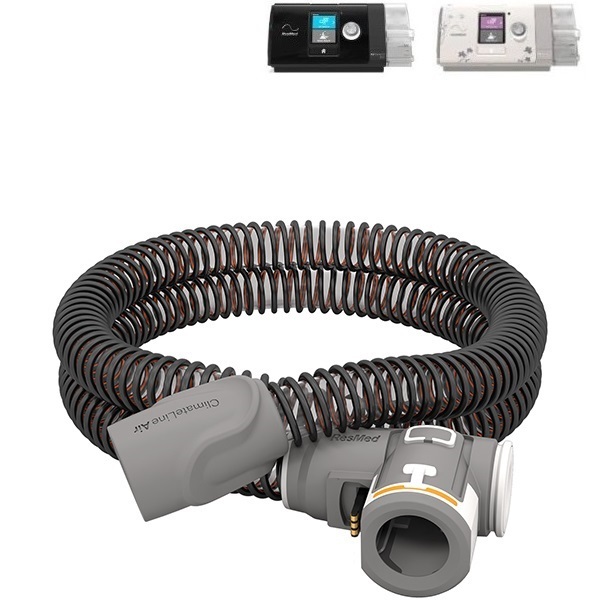 ResMed AirSense 10 For Her is available in a package that includes a 5 year extended ResMed warranty, any mask we stock, spare filters, pure soap and 4G COMS. Built-in Light Sensor – The light level of the screen adjusts automatically to the brightness of the room. If the user gets up during the night, the screen’s backlight won’t disrupt the bed partner. Easy-Breathe – The sound level of the motor is whisper-quiet, offering you and your bed partner a more peaceful night of sleep. SmartStart – This function begins your sleep apnea therapy as soon as you breathe into your mask. When you remove your mask, it stops automatically after a few seconds. Innovative Technology – Consistent humidification for increased comfort throughout the night with the integrated HumidAir humidifier and ClimateLineAir. Wireless Connectivity – Enables your healthcare professional to stay connected to your therapy progress.